With how-to guides covering virtually any topic you can think of, it’s no surprise that many people attempt to buy and sell Gig Harbor real estate on their own. While you certainly can spend your free time attempting to learn how to represent yourself in a real estate transaction, hiring a professional real estate agent is by far the best way to save yourself time, money, and headaches if there are any issues in the process. In part one of this ongoing series, we’ll explain why you should hire a real estate agent if you’re buying or selling Gig Harbor real estate. Team Aro is Gig Harbor’s premier real estate team, and we would love to help you buy or sell a home in Gig Harbor as quickly as possible. We have extensive knowledge of the Gig Harbor real estate market, and our goal is to make real estate transactions as easy as possible for our clients. Contact us today at (253) 677-3500 or get in touch with us via email through our website. 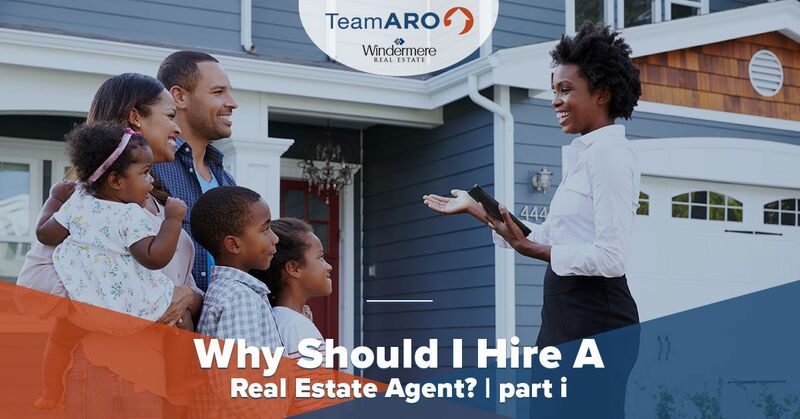 Read on to learn why you should hire a real estate agent! You probably don’t cut your own hair, change your car’s oil, or evaluate yourself when you’re feeling sick. Instead, you go to a professional who has years of experience with the service you’re paying for. The same principle applies perfectly in the real estate industry. Hiring a real estate agent allows you to focus on everything else in your life that demands your attention instead of learning the ins and outs of a complex and dynamic industry. If you’ve ever tried to sell real estate on your own, then you’ve probably experienced the frustration of dealing with low-quality leads. Some people will schedule viewings with no intention of ever placing a bid on your home, and while this might initially sound innocuous, it can be a significant waste of your time. As we noted in the previous section, real estate agents have the experience required to know what to look for when it comes to potential buyers. Real estate agents can help you determine high-quality leads from wastes of time, ultimately helping you achieve a faster sale. If you’re buying real estate in Gig Harbor, then you may have a general idea of what you’re looking for in a property, but do you know what to expect from the different neighborhoods in the area? At Team Aro, we know the neighborhoods and areas of Gig Harbor intimately. Whether you’re looking for information about schools in the area, crime statistics, or recent sales, we’ll be able to tell you everything you need to know about the neighborhoods you’re interested in. Keep an eye out for future posts in which we’ll continue to provide you with reasons why you should hire a real estate agent. If you’re looking for real estate agents in Gig Harbor, then contact a member of Team Aro today! From vacation properties to retirement properties, we’ll help you find the perfect property in a location you love. We look forward to working with you soon!